Tropical storm Erika: Here are the chances of it turning into a hurricane and hitting Florida. Will Tropical Storm Erika Turn Into a Hurricane and Hit Florida? A Forecast. The latest forecast is … worrying. In the wake of last weekend’s twin hurricane threats that fizzled, there’s another landward-tracking storm that’s quickly gathering more attention than the previous two combined—if only for the fact that meteorologists don’t really know what to expect yet. No place in America is more exposed than Miami, but amid a record-breaking lack of hurricanes in recent years, the booming city’s residents have grown complacent. Earlier this year President Obama traveled to the Everglades to highlight the region’s increasingly desperate battle to hold back the rising sea. Simply put, the region is overdue for a Big One. Tropical Storm Erika is not that storm, yet. And the truth is, meteorologists won’t know how exactly powerful Erika could be for another day or two, at least. Since forming late Monday evening in the central Atlantic, Erika has been giving forecasters fits. Over the last 12 to 24 hours, though, the models have settled down a bit, at least with regard to Erika’s likely path in the general direction of Florida. 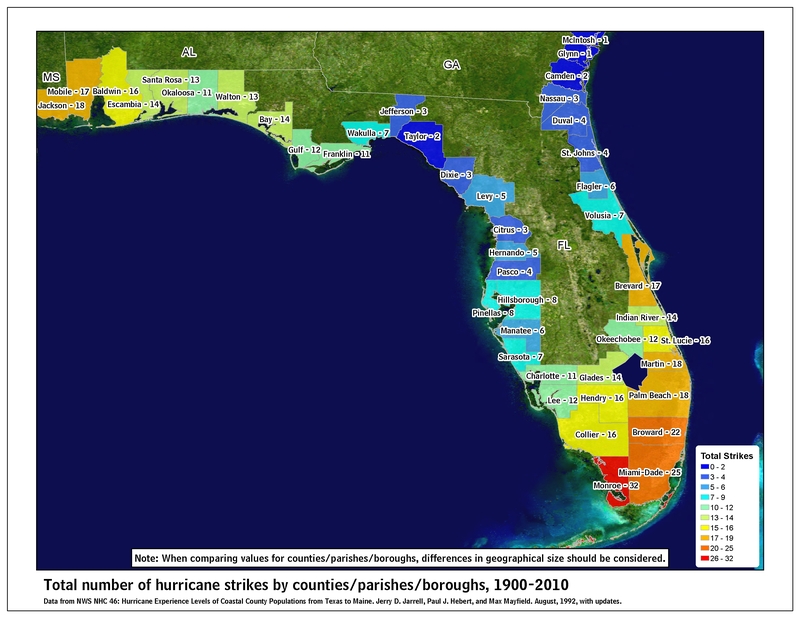 Nearly every major weather model now calls for a Florida landfall. This hasn’t happened in a while: Tuesday afternoon’s NHC forecast was the first to show a hurricane near South Florida in three years. Since 1900 the region has been hit on average nearly every year, but hasn’t been since Katrina in 2005. The storm not even reaching the mainland would, of course, be the best-case scenario, and may even be beneficial to drought-stricken Caribbean islands, as well. But it’s looking less likely at this point. The U.S. Global Forecast System, usually among the most reliable models, is especially pessimistic that Erika will peter out before reaching Florida. The Canadian model, not particularly known for forecasting hurricanes well, has been insistent on a landfall in the Florida Panhandle in six or seven days at tropical storm strength. The historically accurate European model, along with the high-resolution U.S. Hurricane Weather Research and Forecasting model, shows a Category 1 or 2 hurricane near South Florida on Monday, in line with the official NHC forecast. The HWRF model has been especially insistent on this, and worryingly intensifies Erika quickly in the Bahamas. The Geophysical Fluid Dynamics Laboratory and U.S. Navy models show a major hurricane near Florida trapped by weak atmospheric steering currents for up to a week. It’s an unlikely possibility, and the NHC has singled out the GFDL model as an outlier, but just Tuesday the European model was showing something similar. With sporadic flashes of truly dangerous potential scenarios showing up in some of the historically most accurate models, it’s enough to scoot to the edge of your seat if you live on the Florida coast. Tropical storm watches and warnings have already been posted for parts of the northern Caribbean, so government meteorologists are throwing everything they have at Erika right now, in an attempt to learn as much as possible about the storm in hopes of improving the forecast. In addition to frequent flights into Erika by the hurricane hunters, a NASA Global Hawk drone was scheduled to embark on a 24-hour mission in and around the storm on Wednesday.